The launch of the new higher education regulator at the beginning of January was dominated by a single story – the controversy over the appointment of Toby Young to its board. In this opinion piece, Professor GR Evans and Professor DVM Bishop look at the challenges facing the OfS and ask whether the board members have the appropriate expertise to tackle them. The Office for Students (OfS) put out a press release on 1 January 2018 giving the list of its board members, including those who had already been ‘transferred in’ from the outgoing HEFCE board. These are shown in Figure 1; we have colour-coded them to reflect their background, according to whether they have expertise in public higher education (yellow), private higher education (pink) or another sector (beige). We have done this to the best of our knowledge and relying on the information provided by HEFCE on its website for the HEFCE Board members transferring to OfS and the press release of the DfE for the others. The new appointees are shown with *. The OfS came legally into existence on 1 January, though it is not yet in operation. It is created by the Higher Education and Research Act (HERA) 2017, which will also bring into being UK Research and Innovation (UKRI). OfS will be responsible solely for English higher education. UKRI will cover project research funding (roughly the work of the former research councils) for the whole UK and also the allocation of infrastructure funding of English higher education research. So OfS and UKRI will divide between them the funding responsibilities covered at present by HEFCE, and acquire a number of additional regulatory roles. The government funding allocated to pay for both teaching and research infrastructure was for a century treated as a ‘block grant’ to each university, for it to use as it chose in teaching or research. The teaching element was radically reduced when tuition fees for English students were tripled, and replaced almost all the former ‘T-funding’. OfS will therefore have a minimal funding role. UKRI will have an enhanced funding role, covering both the former ‘R-funding’ of research infrastructure needs through Research England and the project funding of the former research councils, and also including the former Innovate UK. Where is the OfS website? OfS does not yet have a website. It is therefore not possible yet to glimpse the operational planning of this new organisation, also to be launched in April 2018. There is, however, a separate website for executive recruitment, offering three posts online at or close to six figures, though it is not clear how a board that has not yet met has approved them. This is in contrast with UKRI, which already has an extensive website. There may be read a short account of its origins and purposes. It also explains its governance and structure and lists with biographies the people so far appointed to various roles. There is an Implementation Programme board with members listed, with the task of setting up the organisation ready for its launch in April 2018. The press release of 1 January gave rise to press coverage, including the Guardian on I January and Times Higher Education on 1 January, with The Times and The Independent on 3 January. It launched a controversy about the suitability of Toby Young, one of the new appointees. Taken together, these suggest a lack of judgement and tendency to polemic that make him ill-qualified for a role as a regulator of universities. Some of those defending him have noted his interest in promoting freedom of speech, a topic that is a focus of interest for OfS. However, his approach to this topic is not that of an expert who has carefully considered the issues, and there are many people with more expertise who could have been selected to ensure balanced coverage of this topic. A further objection to Young’s appointment is his lack of experience with students or higher education. But is this criticism – which extends to other board members – valid? This raises important questions about the balance of power and the distribution of responsibilities between the board and the executive of the new organisation, as it tackles the task with which UKRI is already visibly busy according to its own active website. 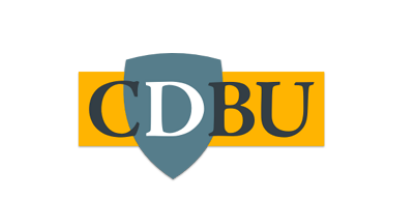 The business-style relationship of board and chief executive now universal in universities except Oxford and Cambridge took its present form in the wake of the Cadbury Report of 1992, which dictated the expectation – embedded in the Further and Higher Education Act 1992 section 124C – that the governing body of a higher education corporation would have ‘at least half’ independent members’. In the case of OsF this would ensure that we do not have undue influence from representatives of the same Higher Education Institutions that the OfS plans to regulate. Given the stated priorities of OfS, one can see why the board should include a representative of the Competition and Markets Authority (Coleman) but the rationale for including some of the other new appointees is unclear. 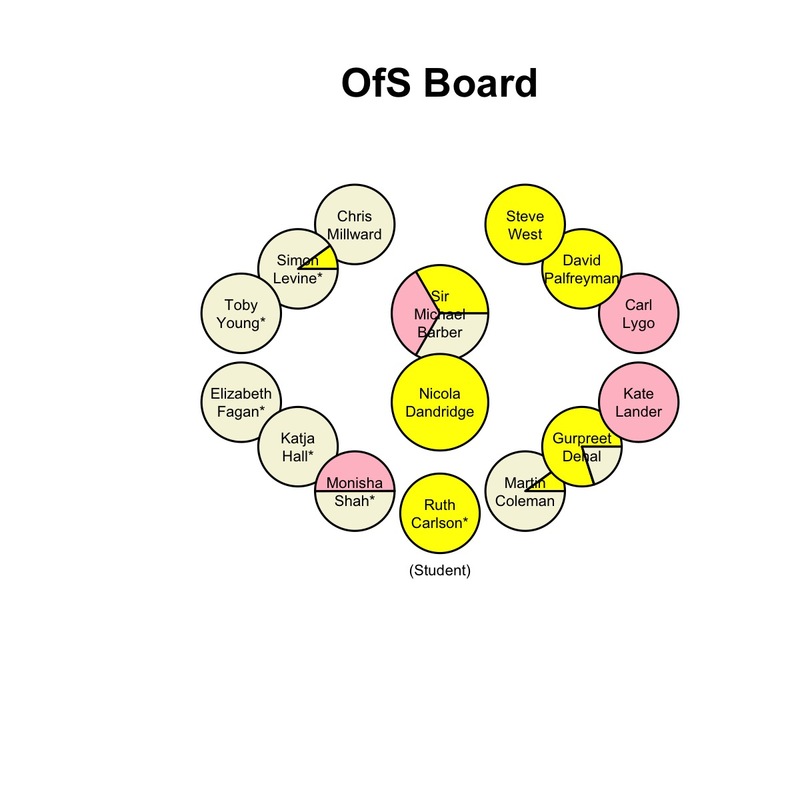 In the light of the controversy surrounding the Toby Young appointment, it has been argued there should be more transparency around the selection process for membership of the OfS board. HEFCE has consistently referred providers to the CUC’s Higher Education Code of Governance (revised in 2014). It is not yet clear whether OfS will do the same. The Code sets out ground–rules for the conduct of board and the Key Performance Indicators of higher education boards, principles adopted by HEFCE itself in its own governance. OfS has given no indication yet of its own intentions but it must be a matter of importance how it intends to use its board’s expertise and policy preferences. In our response to a recent consultation by the OfS, we noted some of the thorny problems that the organisation will have to tackle. They would benefit from having board members with serious expertise and experience in relevant areas. The current set of appointments does not instil any confidence that the OfS will be up to the task they have set themselves.